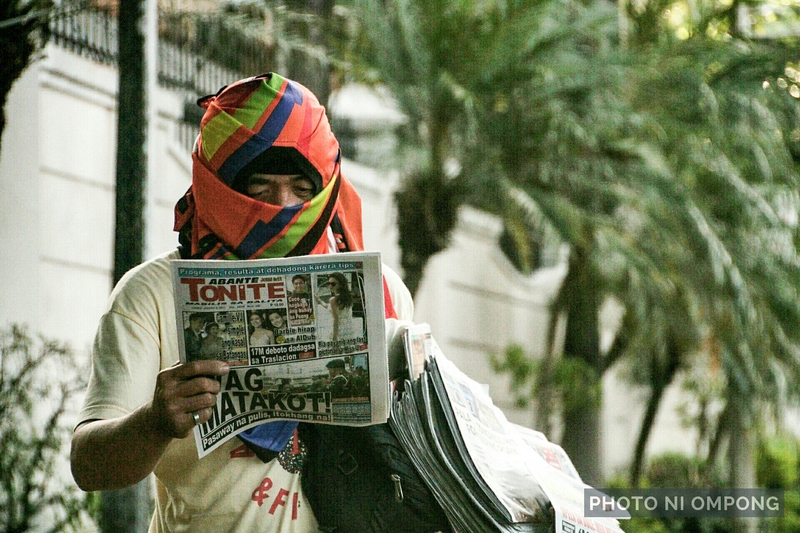 A masked vendor holding a newspaper with a headline “WAG MATAKOT”, which means “Don’t be afraid”! I’m okay my friend… Excited to have miss u pageant held here in manila. Hehehe! I gotta get a 1000mm lens just to get good pictures. Wink! Ha ha ha you are too funny.